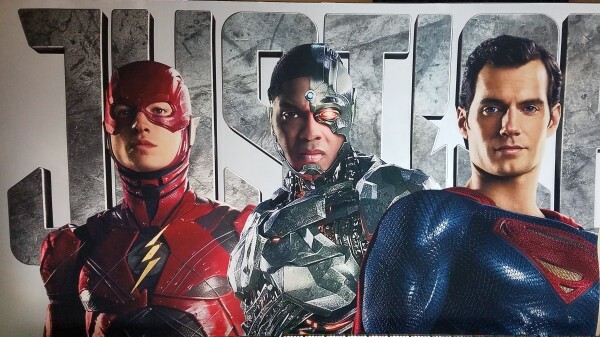 Ready for another batch of Justice League costume photos hot off the presses? 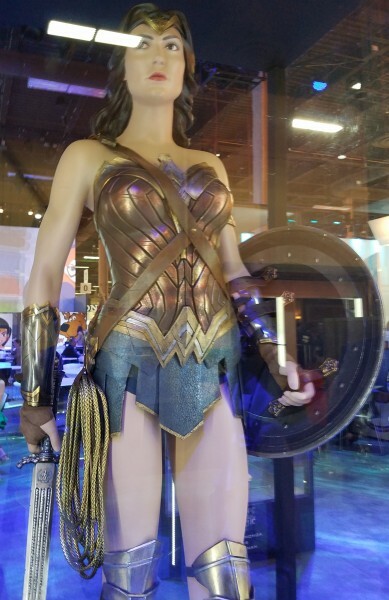 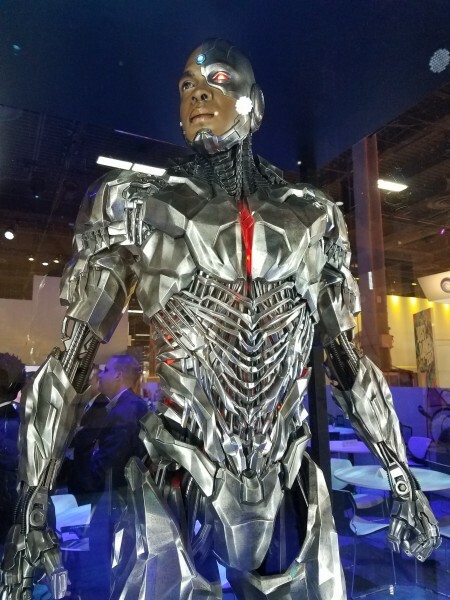 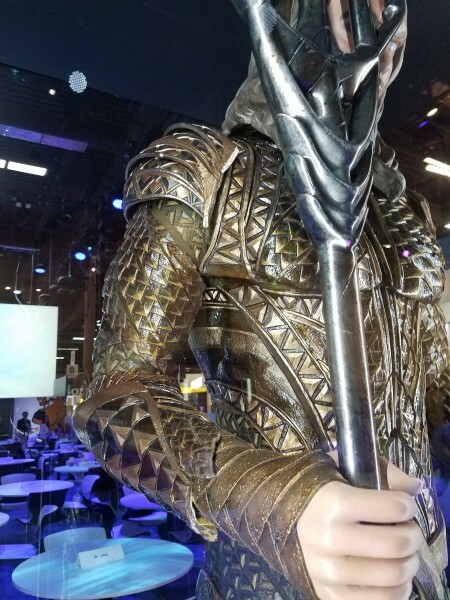 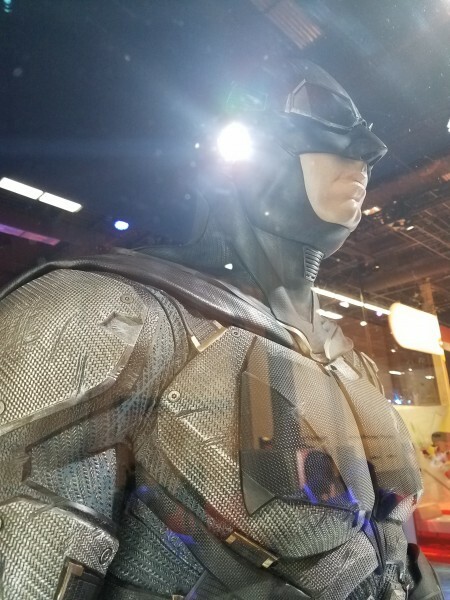 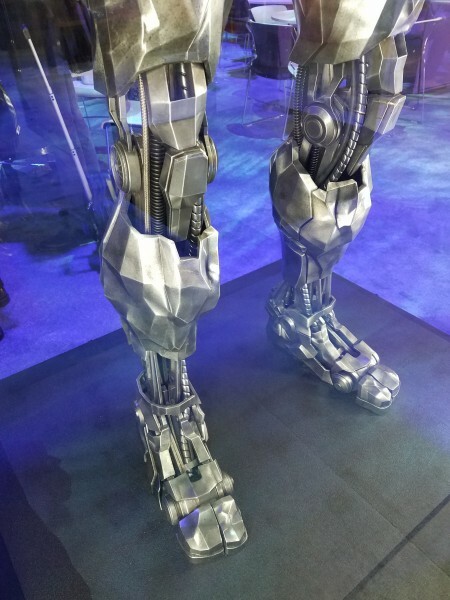 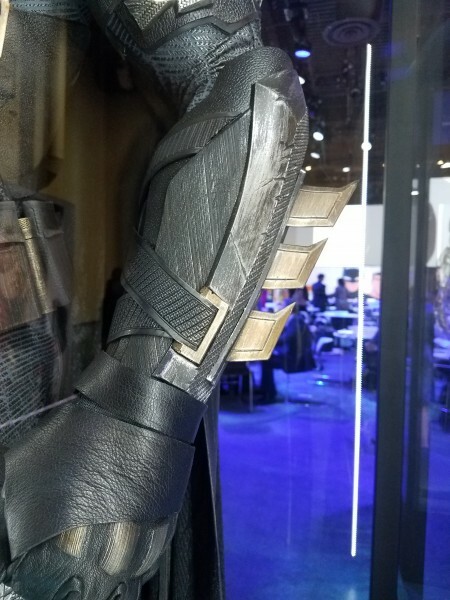 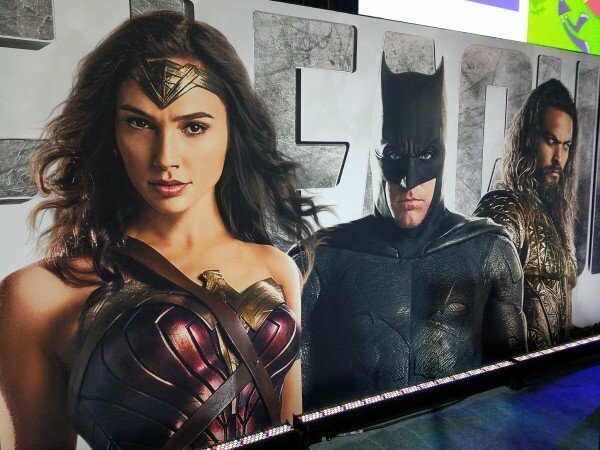 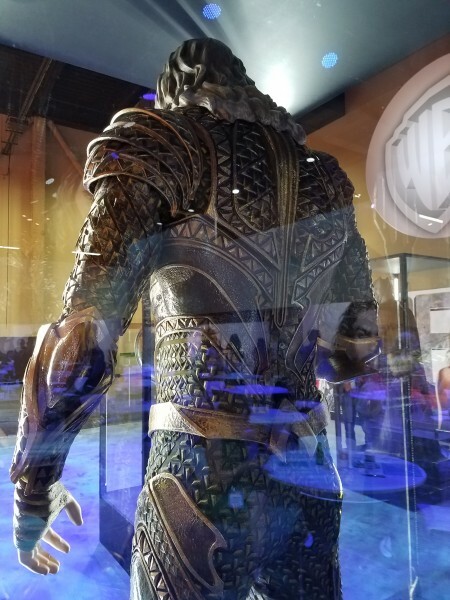 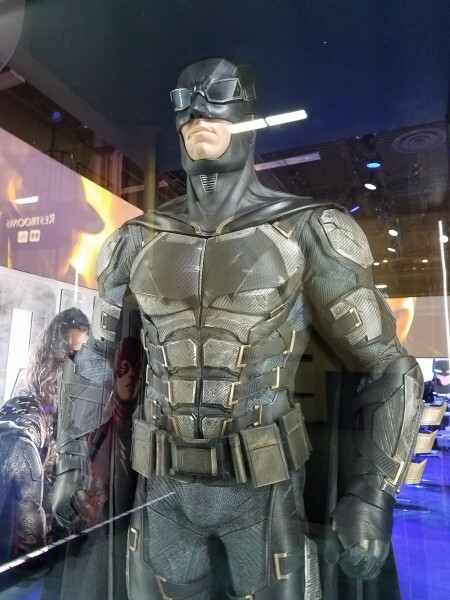 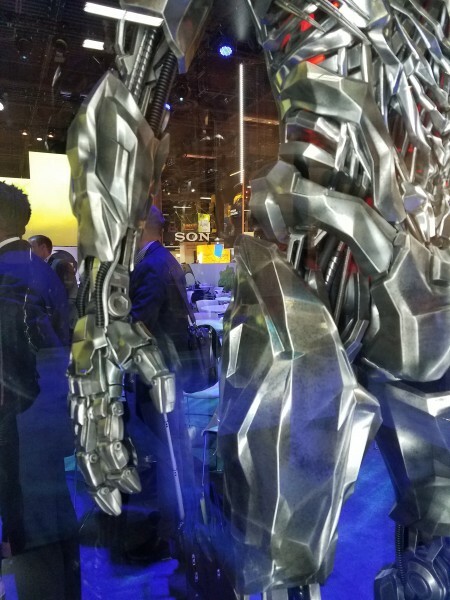 The folks over at Collider have been busy moseying around the Warner Bros. booth at the ongoing Licensing Expo in Las Vegas, profiling each superpowered member of the Justice League – you know, barring a certain Man of Steel. 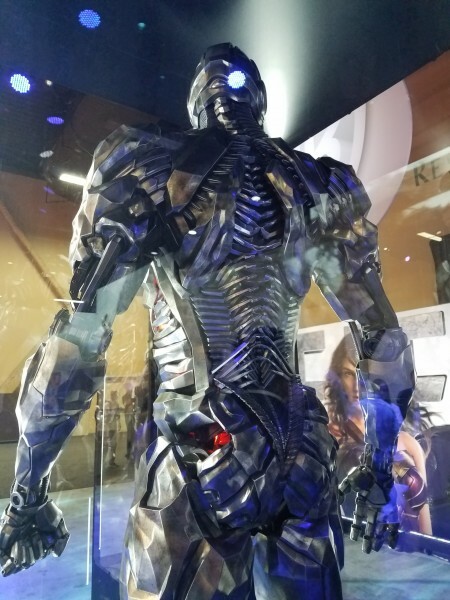 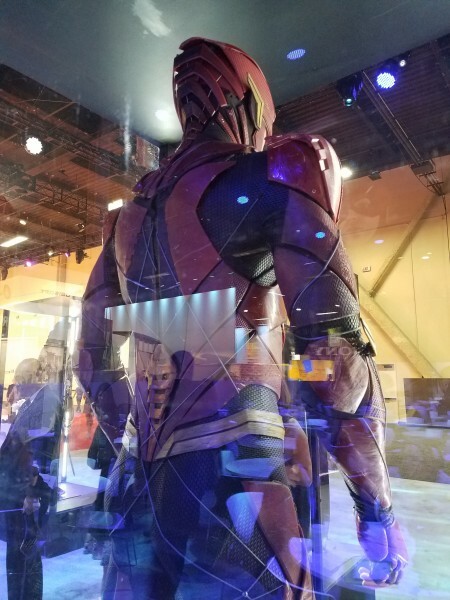 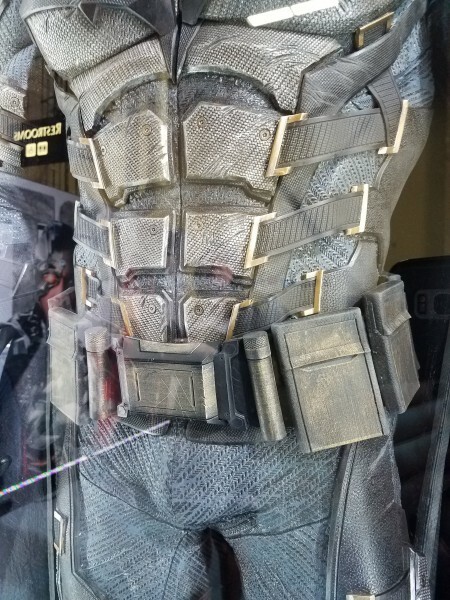 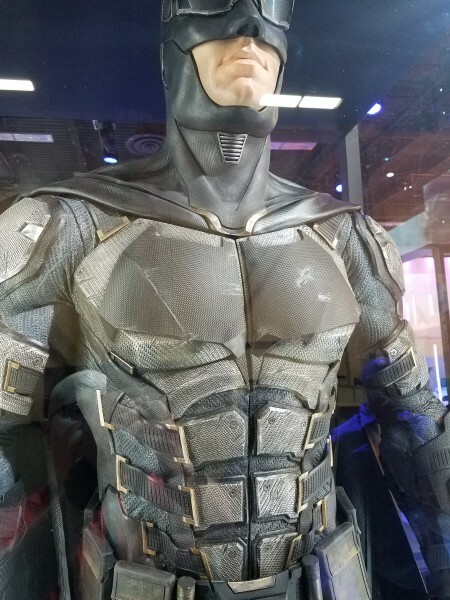 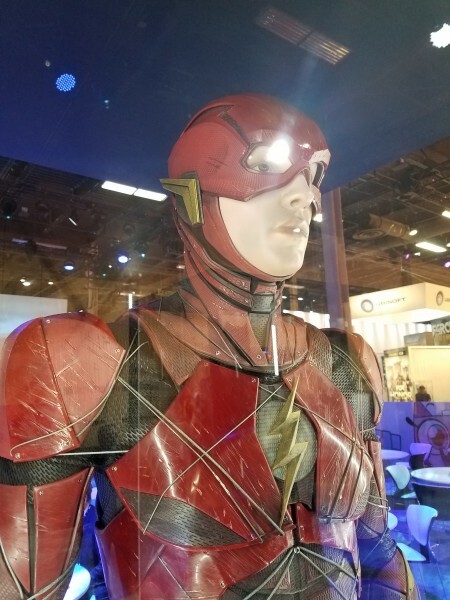 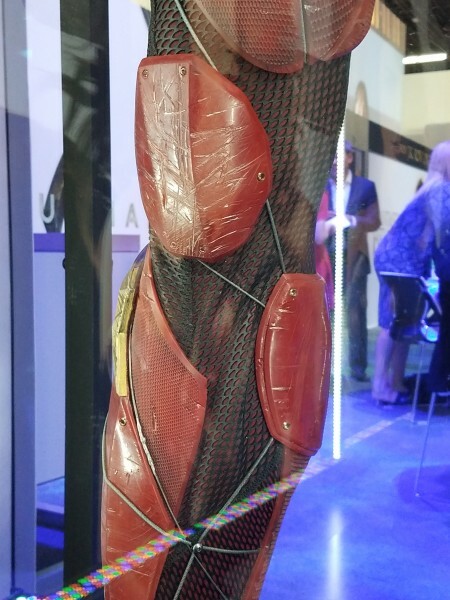 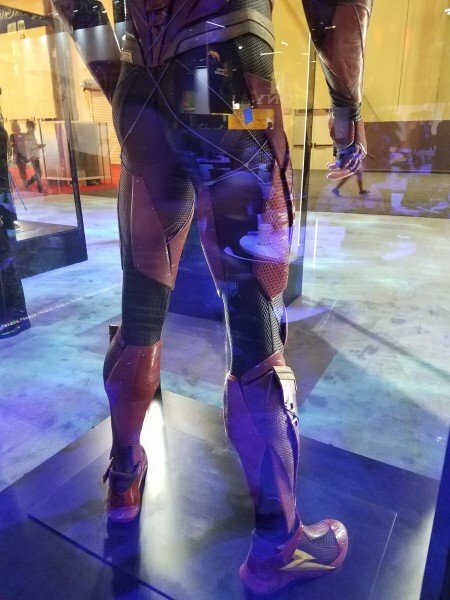 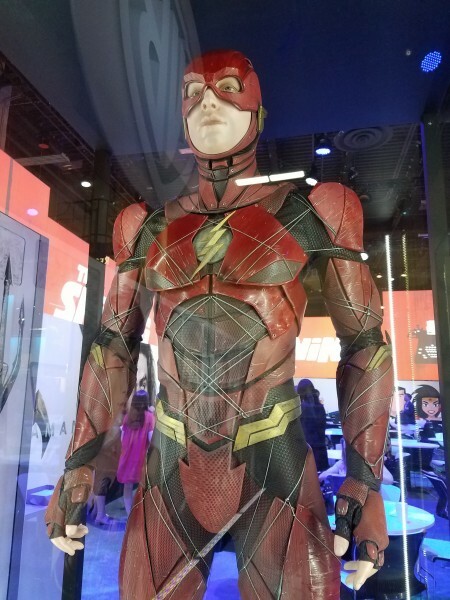 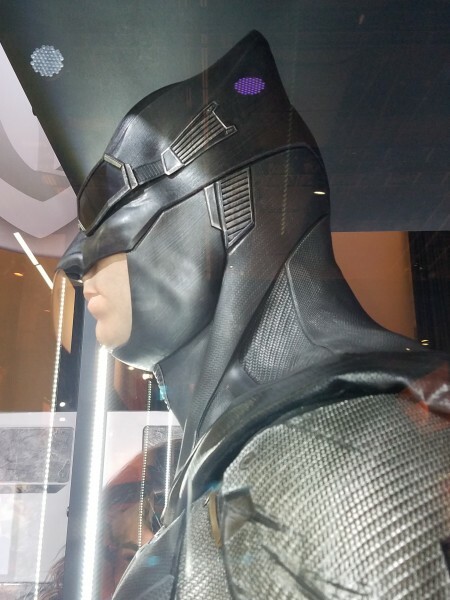 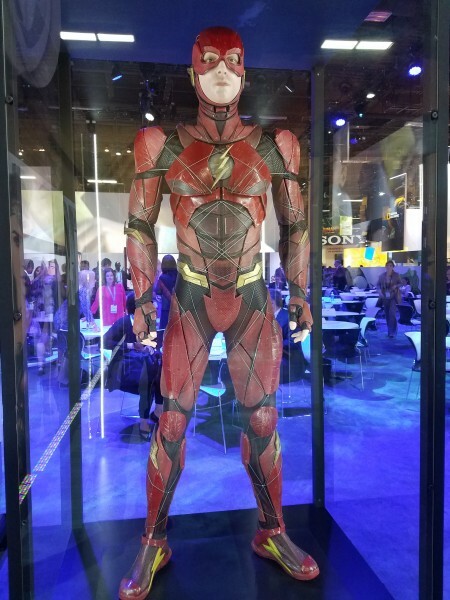 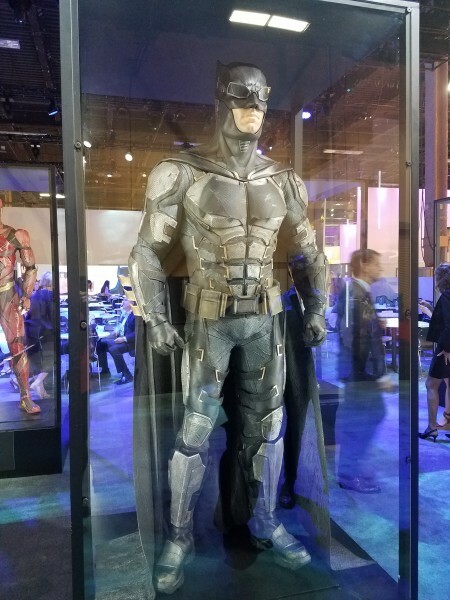 Earlier today, the outlet rolled out a deluge of high-res images that allowed fans to go up close and personal with three of the six DC crusaders: Batman (Ben Affleck), The Flash (Ezra Miller) and Cyborg (Ray Fisher). 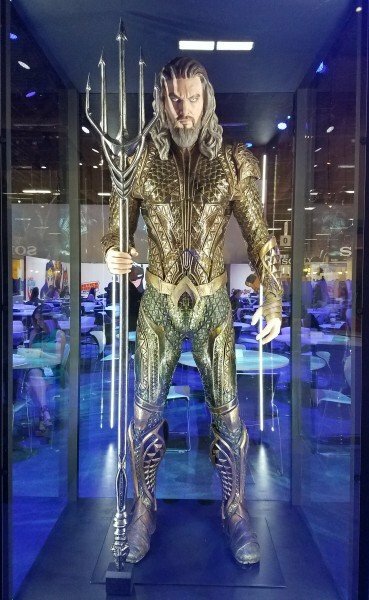 Now, we know what you’re thinking; what about Aquaman? 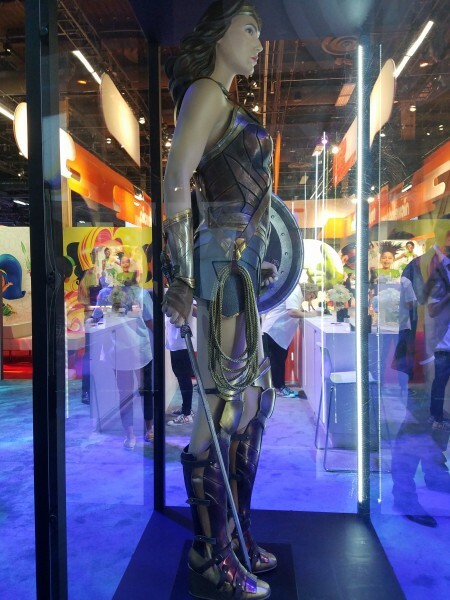 And where on Earth is Diana, Princess of Themyscira? 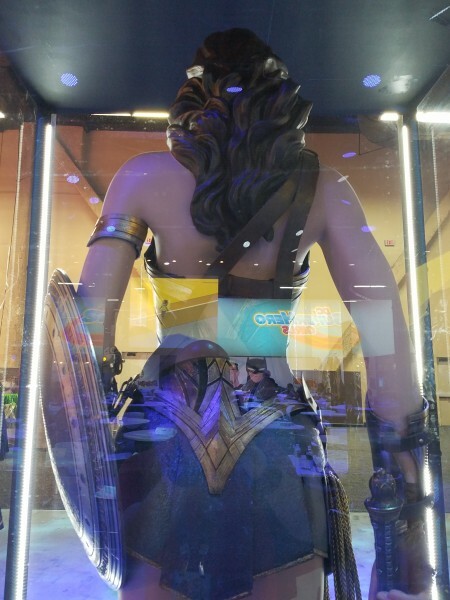 Wonder Woman is the talk of the town, after all. 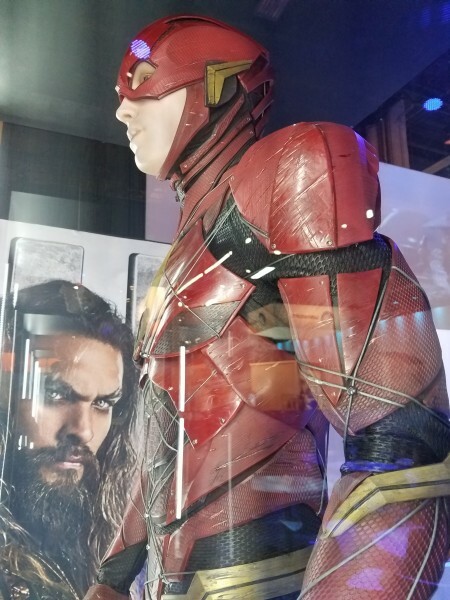 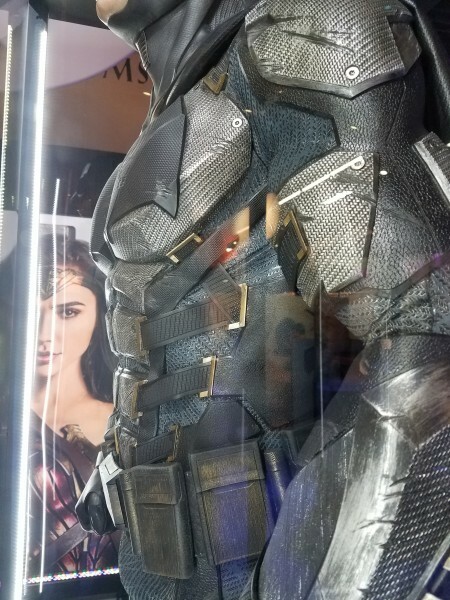 Thankfully, Collider has relayed a second helping of Justice League pictures that shift the spotlight over to those costumes that will soon be worn by Arthur Curry (Jason Momoa) and Diana Prince (Gal Gadot) in Zack Snyder’s mega-budget ensemble movie. 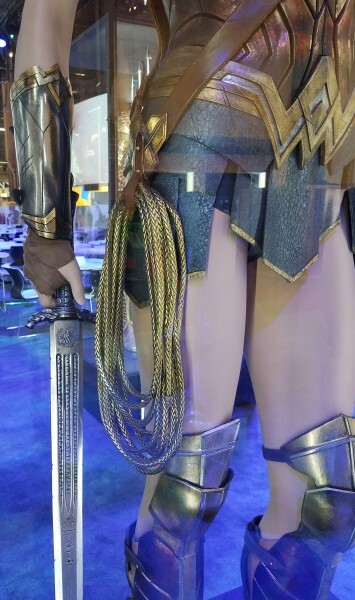 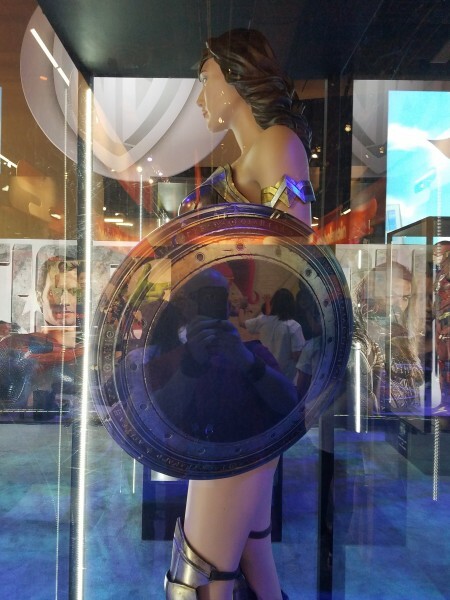 Staying true to the design seen in Patty Jenkins’ imminent standalone pic, there aren’t many changes to report when it comes to Wonder Woman’s armor – it’s still as bright and beautiful as ever. 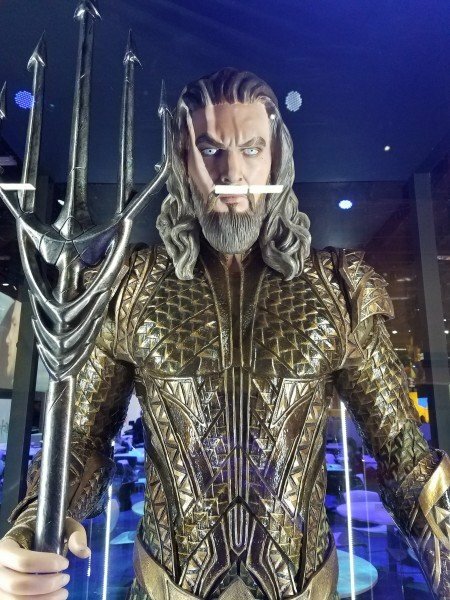 For Aquaman, it’s a different story. 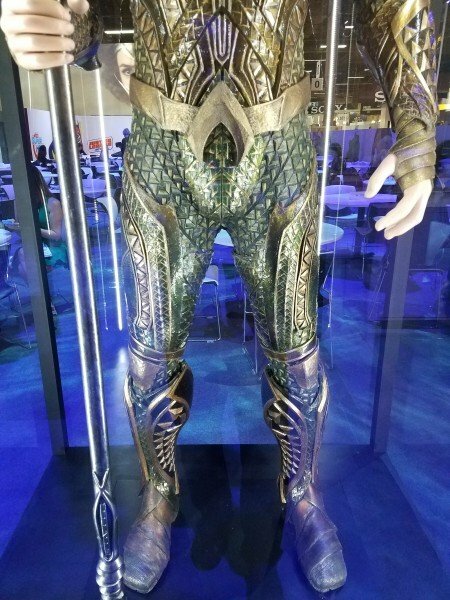 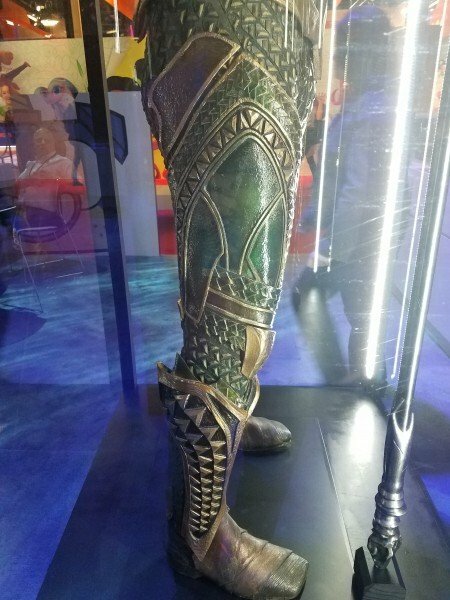 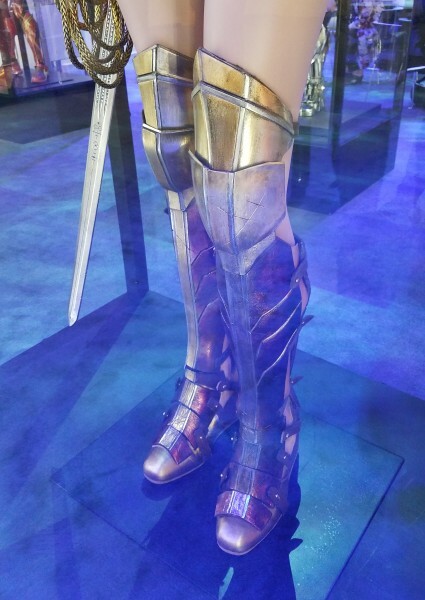 Much like Mera’s alternate costume in James Wan’s Aquaman solo movie – a lime-green suit that looks to be designed for casual use, in contrast to the battle armor that featured in Snyder’s set picture of Amber Heard as the Queen of Atlantis – this design is decidedly different to what we’re used to. 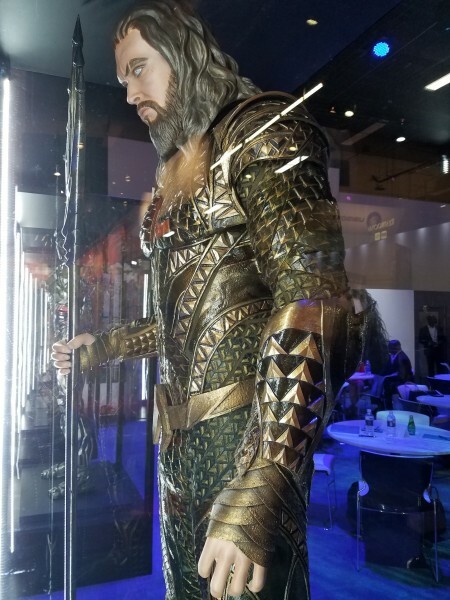 And after an admittedly forgettable cameo in Batman V Superman: Dawn of Justice, we’re excited to see Momoa’s King of the Seven get the screentime he deserves. 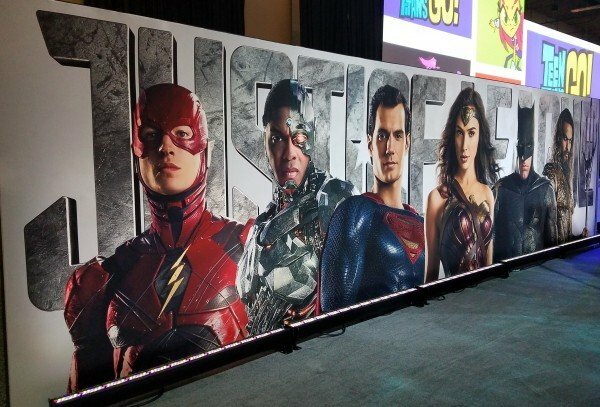 On November 17th, Justice League will bring together DC’s finest to ward off the oncoming Steppenwolf, and we learned just yesterday that Joss Whedon has signed on to dot the I’s and cross the T’s of Warner’s ensemble movie in place of Zack Snyder, who vacated the director’s chair to tend to a family tragedy.